The fourth session of The Legacy Journey is The Road to Awesome and is taught by Jon Acuff. I was surprised to watch the whole session without seeing Dave. It shows that he is really is committed in leaving a legacy beyond himself with the company he built to help other people. Jon starts stalking about the importance of using our passions and do what God has created us to do. The first step is to change our lives to be structured in a way that we can deliberatively do this. 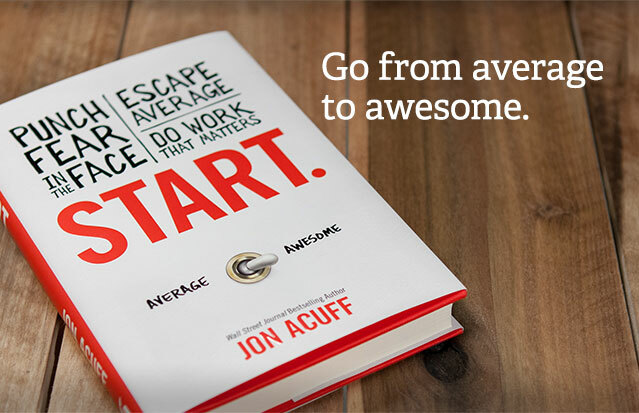 Jon laid out five stages on the road to awesome. These stages used to be based on age, but that is no longer the case. 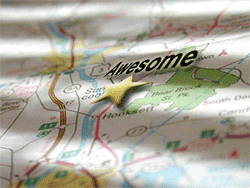 Our place on the road to awesome is no longer about when we were born, but when we decide to get started. Now is the perfect time to start because we cannot skip stages, but we can shorten them. This is the stage in which we figure out who we are and what we are about. We don't want to just "find our purpose" but we want to live with purpose. During this state we will be experimenting with different passions. We need to remember that it is okay not to be amazing at everything we try the first time. The only thing we can control for sure in our journey is our starting line. During this season we are subtracting things out in order to narrow our focus. We need to ask ourselves many questions like, "If I died today, what would I regret?" When you figure out your answer to that question then check your schedule to see if you are actually spending your time on those things. We work on finding what gives us the most joy and focus on those things. Get a part-time job - figure out if you will love/hate something as an employee before jumping all in. Be led - find wise mentors! This is a stage that you are working within your passions along with lots of support. You will need support from two groups of people. The best way to get support from others is to support other people the way you want/need support. Your Inner Circle - this should be your spouse if you are married. The worst place to put your spouse is on the opposite side of your dreams. Your Outer Circle - You will need to get support and feedback from friends and family too. This stage is about helping others along their road to awesome. You will be guiding others whether you know it or not, so be intentional about it. Ask others questions about their goals/desires and build on relationships with those who can mentor you and you can mentor. One tip that Jon Acuff gave was to tie mentoring building into something you both already care about so it is more likely to happen. We all need to get up and get started today to begin our legacy journey's no matter how old we are. Stages 1-3 need us to be intentional for them to work but stages 4-5 will happen no matter what we do, so we need to be intentional so we harvest and guide within the legacy we want to be leaving behind. One of Jon's last tips he shared with us was not to compare our beginnings with someone else's middle. We cannot expect to skip stages and be in harvesting guiding when we are just learning and editing, so don't be disappointed when that doesn't happen. I loved this lesson, it was filled with great information that also can be found in Jon Acuff's new book Start. I talked about the book before, but I wanted to take this opportunity to have another random book give away. Enter today using Rafflecopter below. Looks like I have some work to do. I appear to be on step 1. I like to try lots of new things. I know I am at all different levels in different parts of my life. I think there is always room for learning, editing, mastering, harvesting and guiding at all ages of life. We're somewhere in the middle, I guess. Currently finishing an internship and about to go into full support raising mode to become campus missionaries and plant a campus ministry at university in Alabama. Good luck. I have a friend here in Iowa who is beginning a church plant. I know it takes a lot of hard work to get a ministry off the ground. Right now I'm in the season of learning. I love to try lots of new things. I think now I need to start working on editing. 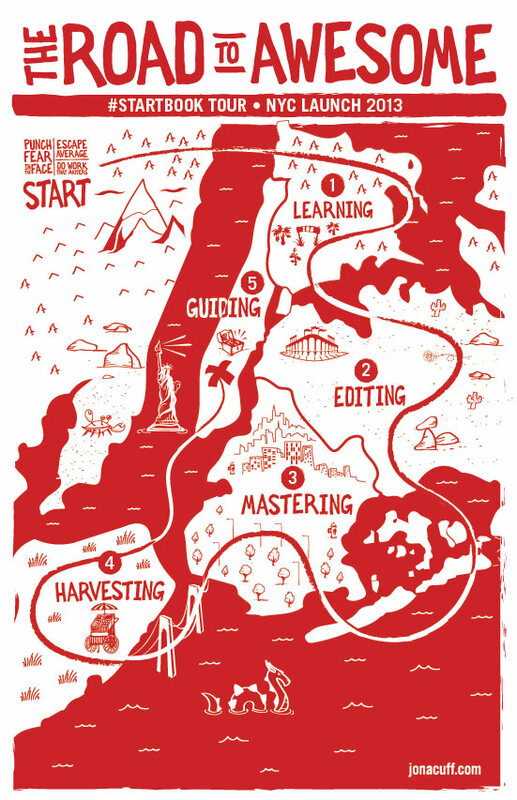 I am always at areas of learning and editing in my life but am working on the other stages in different areas of my life too.